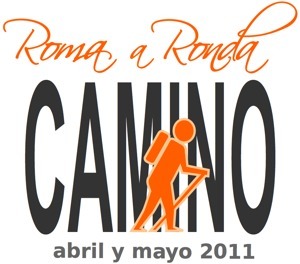 Starting the 10th of April, I’ll be walking from Rome in Italy, back to Ronda my home town, with the aim of collecting 50,000 euros to start a foundation in Andalucia to provide desperately needed financial assistance to families with very ill children. I’m Andy Cameron, and I live in Ronda, and all my life I’ve volunteered with charitable groups such as the Red Cross, St John Ambulance, or Lifeline, but now I want to make a difference in my local community. For example the single mother who needs ongoing support after her 11yr old son suffered a brain embolism, or the parents of a 3yr old girl who tragically suffered a fall and can’t walk. In these two examples, the first a foreign resident in Spain, and the second a Spanish family, what they have in common is their desperate financial situation brought about because everything they have has been sacrificed to care for their children. The foundation I’m trying to build will support families like these, and I need your help. During my walk I aim to walk around 50km per day in a race back to Ronda and if I’m successful I have pledges from corporate sponsors that they will donate to the foundation, but I need to complete the walk. My fund-raising to pay for my walk was going well until 3 weeks ago when I was involved in a hit and run (policia atestado 590/11) while training, resulting in ligament damage to my right knee. With the help of Ronda hospital’s emergency department, my doctor, and a sport physiotherapist I will be able to start my walk on the 10th April, but only if I can raise the final 500 euros to supplement the funds I’ve already collected. Of course the walk is now even more challenging, since I am now required to wear an orthopedic bandage on my knee, and walk with the aid of two hiking sticks, as well as take daily pain and anti-inflammatory medication. I might seem crazy, but my medical team assure me I won’t suffer long term damage if I follow their advice.